Very organized; the instructor made sure you knew every step before going onto the next step! Awesome Experience! 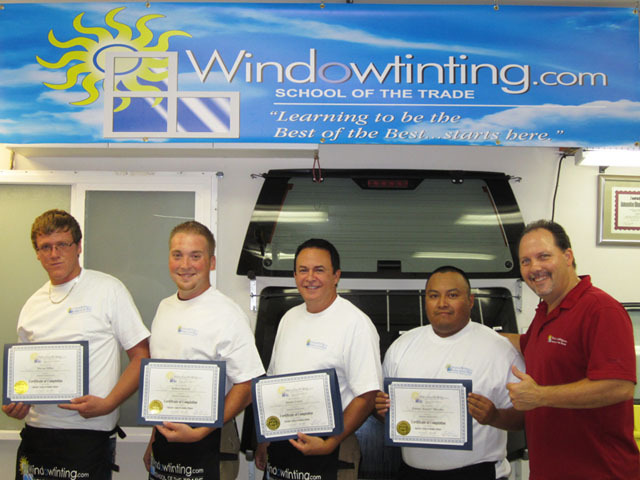 Robert really pushed us mentally and physically to get where we needed to be with the “art” of window tinting. Confidence, focus, and repetition really helped, but the organized and professional approach he takes to teaching the course really pushes everything over the top! A++…I’m ready to make some money! One word – Professionalism. From the time you stepped on campus, until you tint your last window, the instruction is top notch! I have taken numerous classes throughout the years for other things and Rob’s knowledge, delivery and teaching style are truly second to none! My only regret is I wish the course was one day longer because I loved it so much! It was a great experience that I will always remember.